M.B.A., Operations and Quantitative Analysis, University of Missouri-Kansas City, 1993. B.S., Economics and Business, University of Kansas, 1988. Selected for inclusion in Super Lawyers – Rising Stars, 2014-2015. Michele brings a decade of management experience in manufacturing and a business person’s perspective to her litigation practice. 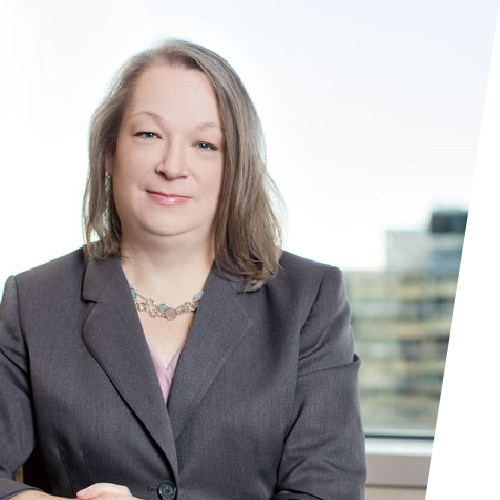 Michele’s primary focus is on commercial litigation encompassing issues related to contracts, non-compete agreements, and land use, as well as real estate, banking, and construction disputes. With a M.B.A. in Operations and Quantitative Analysis, Michele synthesizes keen analytical skills with her legal experience to assist the firm’s clients reach resolution of their commercial disputes. Prior to joining the firm, Michele clerked for the Honorable Harold Lowenstein at the Western District of the Missouri Court of Appeals. In addition to honing her research and writing skills, Michele gained valuable insight into both trial and appellate practice. Michele has put her appellate experience to work, briefing cases before the United States Court of Appeals for the Eighth Circuit and the Missouri Court of Appeals. Member of team that represented regional grocery retailer in putative class action brought on behalf of Missouri consumers. Putative class sought more than $7 million in damages arising from alleged mislabeling of nutritional contents of food supplement. Obtained dismissal of action with prejudice prior to commencement of discovery. Member of team that achieved Eighth Circuit Court of Appeals reversal of an award against a medical care services company in long-running dispute with the Department of Labor, in which the Eighth Circuit found the Department overstepped its authority by initiating a company-wide investigation despite only finding reasonable cause to investigate one specific (and limited) issue for one employee. Member of team that successfully prosecuted claims of breach of contract and fraud on behalf of bank after it successfully foreclosed on collateral pledged by debtor which included a minority stake in a privately held family business. Member of team that obtained temporary restraining order in Alabama on behalf of chemical manufacturer and against key employee of distributor who had taken a position with competitor, resolving the litigation by agreement to prevent misappropriation and dissemination of manufacturer’s trade secrets. Member of team that obtained summary judgment in federal court for manufacturer in breach of contract claims brought by a supplier involving issues of executory contracts in bankruptcy. See Permacel Automotive, Inc. v. Kohler, No. 08-00804-cv-W-FJG, 2010 WL 2516924 (W.D.Mo. June 14, 2010). Assisted in defense of insurer after close of discovery in commercial litigation brought by finance company, obtaining successful outcome at trial. Part of team defending financial institutions in consumer class actions pending in federal and state court in Missouri arising from residential second mortgage loans and alleged violations of the Missouri Second Mortgage Loan Act. Member of team that successfully defended EPC contractor in JAMS arbitration arising from design and construction of an oil-gas hydrocracker refinery in Utah. Mechanical subcontractor sought $12 million in damages for alleged delays, disruptions, and productivity losses. Participated in expedited arbitration and two-week evidentiary hearing that resulted in an arbitration award less than client’s final settlement offer. Member of the team that achieved summary judgment against employee on behalf of energy provider. The former employee alleged disability discrimination and retaliation under the ADA, as well as off-the-clock work. Assisted in defense of manufacturer’s transportation department and driver in personal injury and death claims arising out of collision on an interstate between tractor trailer and minivan. The representation included the trial of minor child’s claims for traumatic brain injury (TBI) resulting in significant permanent injury. Member of team that successfully defended computer manufacturer in suit alleging the manufacturer’s monitor caused a commercial fire after our investigation demonstrated that the product at issue was not, in fact, manufactured by our client.